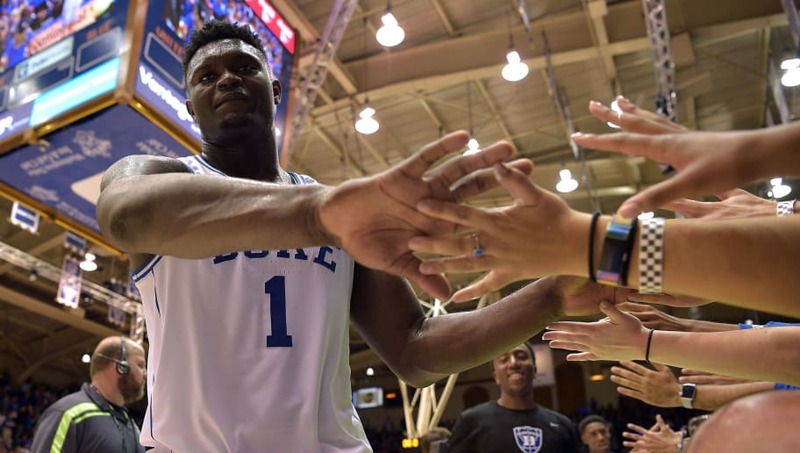 ​Zion Williamson wants basketball fans to understand something: he brings a lot more to the floor than highlight reel dunks. The rising Duke freshman has gained an insane amount of attention since making prolific appearances on YouTube for his high-flying finishes. But ​Williamson himself has a message for everyone ahead of the start of his college career. Zion's right. During the ​Blue Devils' "Countdown to Craziness" preseason event, he logged 14 points on 7-11 shooting with five rebounds. Because of his viral video stardom, Williamson has been criticized by some observers as a one-trick pony. But if he lives up to his latest remarks, college basketball ​fans will love to watch this kid do his thing in multiple phases of the game. His dunking is a factor of his game that overshadows how he effectively he is able to move his 6-6, 270-pound ​​body. His ball handing and passing skills are key to his game, and his ability to run the floor makes him more than a big body that can block shots and snag rebounds. College basketball should be on notice, because Zion Williamson is out to prove everyone wrong.